The Romans and their empire at its height in 117 CE was the most extensive political and social structure in western civilization. By 285 CE the empire had grown too vast to be ruled from the central government at Rome and so was divided by Emperor Diocletian (284-305 CE) into a Western and an Eastern Empire. Scroll down to see more articles about the history of the Romans. A legend is a story about a person who did something heroic. It is not based on fact nor can it be said to be the truth. Roman children were told the following legend about how the city of Rome was built. 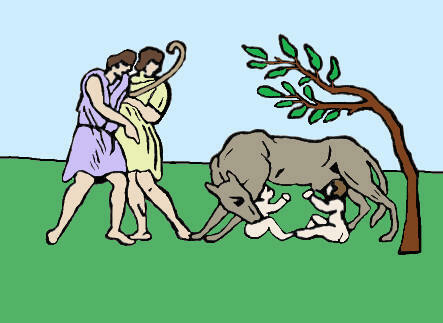 Romulus and Remus were twin brothers. Their father was Mars, the God of War, their mother was Rhea Silvia, a vestal virgin and daughter of the King, Numitor. Numitor’s brother, Amulius, had taken the throne from him and had forced Rhea Silvia to become a vestal virgin so that she would not have any children who might try to take back the throne. When the boys were born, Amulius seized them, put them into a basket and threw them into the river Tiber. He hoped that they would drown. However, the boys were rescued by a she-wolf who fed the babies with her own milk and cared for them. They grew up and were found by the shepherd Faustulus, who took them home and looked after them until they were grown up. The two young men discovered who they really were and decided to kill Amulius and put their grandfather back on the throne. After doing this they decided to build a city of their own but could not agree where to build it. Remus favoured the Aventine Hill but Romulus wanted to use the Palatine Hill. They could not reach an agreement and so each began to build his own city enclosed with walls. One day, Remus visited Romulus and made fun of his wall by jumping over it and saying how easily it could be breached. Romulus was so annoyed that he killed Remus and said the he would kill anyone who mocked his city or tried to break through the walls of Rome. The legend says that Romulus became the first King of Rome in 753BC and populated his new city with runaway slaves and convicted criminals. He stole women from the Sabine tribe to provide wives for the slaves and criminals and to populate his new city. The Sabine tribe were not happy about this and declared war on Rome. The war went on for many years but eventually the Sabine tribe and Romulus reached an agreement and the Sabines became a part of Rome under the Kingship of Romulus. The legend ends by telling how Romulus was carried up to the heavens by his father, Mars, and was worshipped as the God Quirinus. The exact date of Julius Caesar’s birth is not known, but historians claim it to be on July 12 or 13, 100 or 102 BC in Rome. His parents were Gaius Julius Caesar (a praetor) and Aurelia and although he belonged to a noble family, they weren’t very influential or rich during this time. His aunt, Julia was the leader of the Popular faction, Gaius Marius’ wife. Caesar’s father died when he was only sixteen, leaving him as the head of the house. Rome at the time was very unstable, struggling to manage its influence and size. Caesar was already very ambitious and decided that his family would benefit most if he would become a priest. He got himself nominated as Jupiter’s High Priest, but was required to not only be a patrician, but to also be married to one. This led him to break off his current engagement with a plebeian girl and to marry Cornelia, a patrician and daughter of a the influential Lucius Cinna (member of the Populares). Sulla, the Roman ruler at the time declared himself to be dictator of rome and started to purge his enemies systematically. He targeted Caesar, who fled Rome, but his mother’s family successfully convinced the ruler to lift his sentence. He was however no longer allowed to be a priest and Cornelia’s dowry was confiscated. With no other way to provide for his family, Caesar decided to join the army. From there he worked himself up until he, himself became dictator of Rome. How did Julius Caesar die? Julius Caesar died from being stabbed to death by a mob of conspirators in a place just next to the Theatre of Pompey, in 44 BC on the Roman Ides of March. At the time, Julius Caesar had been declared dictator by the Senate and had only served a year’s term. He has, however, already reformed the Senate in that short period and made changes in how local governments worked. He became very popular with the lower and middle-class Romans, but many senators despised him and were concerned about him having too much power as dictator. One of his biggest mistakes was to appoint two of his former enemies, Marcus Junius Brutus and Gaius Cassius Longinus who ended up leading the plot to assassinate him. Over 40 people were involved in the plot to murder Julius Caesar, or, as they called it, commit tyranicide. They organized a gladiator game and a meeting of the Senate. During the meeting, Casca struck at Ceasar with a dagger, after which Caesar acted in surprise. Casca called for help and the whole group, Brutus included, stabbed him. He tried to get away but was surrounded by a mob of about 60 men. He was stabbed 23 times, although only one of the wounds was fatal. The Fall of the Empire was a gradual process. The Romans did not wake up one day to find their Empire gone! The Government was running out of money. The people had to pay very high taxes – up to a third of their money. The rich were given grants of money and land which made them richer while the poor got poorer. There was not enough money to pay for the army. Barbarians from Germany called vandals were conquering parts of the Empire and there were not enough soldiers to fight back. Although the outer edges of the Empire were well defended, there was no defence with in the Empire. This meant that once barbarians had broken through there was nothing to stop them marching to Rome. The Roman network of roads allowed invaders an easy route to Rome. No one had decided on a good way to choose an Emperor,. This meant that any general could march into Rome, kill the Emperor and make himself the next Emperor. In 73 years there were 23 Emperors and 20 of them were murdered. The Romans traded goods throughout their Empire. By importing goods from other countries they raised their standard of living and were able to have many luxuries. The Romans used their network of roads and also waterways to transport goods from one country to another. The Romans traded with Britain for silver, which they used to make jewellery and coins, and wool which they used to make clothes. They imported dyes to colour their clothes from the south-eastern part of their Empire and also spices to flavour their food. From the Far East, what is now China, they imported silk to make fine clothing. Cotton came from Egypt and exotic and wild animals for the gladiator fights came from Africa by sea. Narbonne: Via Domitia uncovered in front of the Archbishop’s palace. The Romans are noted for their skill at building roads. At the time of the Empire there was a vast network of roads that all led to the centre of Rome. Many of these roads still exist today. The Romans were the first people to build paved roads that would be able to be used in all types of weather. They built their roads so that they were higher in the middle than at the edges. This meant that when it rained the rain would run off the sides of the roads. 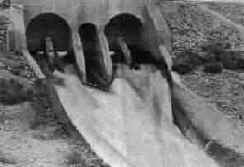 They often put a drainage system alongside the roads to catch the water as it ran off. Rich people travelled along the roads in litters carried either by six or eight men or pulled by mules. Those who could not afford a litter often travelled in small groups for safety. They would travel in carriages. Messengers, who had to travel alone and fast, would ride in a light carriage like a chariot. Travel was not safe, especially at night. There were roadside inns along all the roads but even these were not safe. Fights would break out and sometimes people were murdered. Travellers preferred to stay with either friends of their own or friends of their friends. The Romans were the first civilization to introduce a public health system. They had to do this because Rome had grown in size and it was impossible to find a natural source of fresh water in the city. It was also necessary to find a way of disposing of the rubbish to prevent pollution causing health problems. 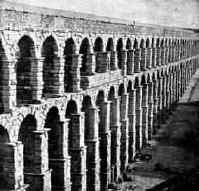 Aqueducts were built to transport fresh water into the city. In AD100 there were a total of nine aqueducts that brought fresh water into the city of Rome. 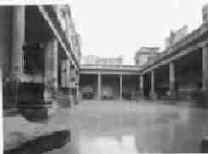 Public baths were places where people could go to bathe, meet and discuss business. There were hot and cold baths as well as massage rooms. A network of sewers was built to take sewerage and waste out of the city to the river Tiber. There were also public lavatories. Painting from Pompeii, now in the Museo Archeologico Nazionale (Naples), showing a banquet or family ceremony feature multiple aspects of Roman society. Roman society was clearly hierarchical, with legally defined privileges allotted to different classes and countless informal differences in attitudes toward the classes in everyday life. In ancient Rome the population was divided into two groups: patricians and plebeians. The patrician class were the descendants of the most ancient and powerful noble families. They were landowners, lived in large houses and they had political power in the Senate. The patricians married and did business only with people of their own class. Plebeians were mainly artisans or peasants who worked the patricians’ land; they lived in apartments and they had no political rights. If they were lucky plebeians could become clients (obedient servants) of a patrician family. They offered their services in return received the protection of the head of the patrician family, who became their patron. Below is the pyramid of Roman society, with the emperor at top and slaves at the bottom. Multiple layers existed between them. While it was possible to move up and down this social latter, as the categories were not immutable, changing one’s social standing was extremely difficult and only possible through meritocratic institutions such as the military. Slaves who had either been given their freedom or had paid for their freedom and now worked for their living. The Roman government took on my different forms from its centuries-long existence, back to its legendary founding. For the sake of brevity, this article will skip over its city-state and kingdom periods to focus on its republican and imperial periods. From the time of Julius Caesar, 48 BC, Rome and the Roman Empire was ruled by an Emperor. The Emperor was wise if he listened to the advice of the Senate but some chose to be dictators and do what they wanted rather than follow the Senate’s advice. Before Julius Caesar took control in 48BC, the Roman Empire was not ruled by the Emperor but by two consuls who were elected by the citizens of Rome. Rome was then known as a Republic. People were divided into different classes. There were Patricians, Plebeians and Slaves. Patricians were wealthy citizens of Rome. They usually lived in grand houses and had slaves to do their work for them. Because they were citizens of Rome they were allowed to go to the Assembly to vote. Plebeians were not wealthy but they were citizens of Rome. They were usually craftsmen or tradesmen and they worked for a living. Because they were citizens of Rome they were allowed to go to the Assembly to vote. Slaves had no money, no rights, no freedom and were not citizens of Rome. Because they were not citizens of Rome they were not allowed to go to the Assembly to vote. 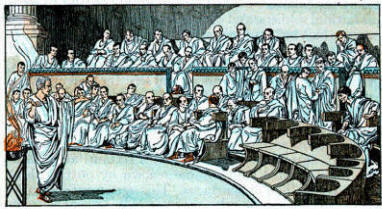 Patricians and Plebeians met in the Assembly and voted for consuls, tribunes and magistrates. Women and slaves were not allowed in the Assembly and could not vote. The citizens of Rome voted for two consuls. They were elected to serve for one year. It was the Consuls job to govern Rome. They had to both agree on all decisions. After they had served their year they were replaced. They were not allowed to be consuls again for ten years. The citizens of Rome voted for a number of magistrates. It was the magistrates job to keep law and order and also to manage Rome’s financial affairs. When magistrates retired they became senators and attended the Senate. The citizens of Rome voted for tribunes. 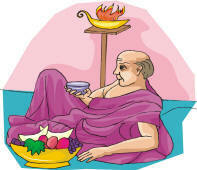 It was the tribunes job to make sure that the people were treated fairly. Senators went to the Senate to discuss important government issues. Senators were retired magistrates and knew a lot about the government of Rome. It was the job of the senate to give advice to the two consuls. When Rome had an Emperor the senate still gave advice on governing Rome and the Empire. The Roman army was the backbone of the empire’s power, and the Romans managed to conquer so many tribes, clans, confederations, and empires because of their military superiority. It was also the source of the empire’s economic and political strength, ensuring domestic peace so that trade could flourish. However, this peace was often coterminous with subjugation. The Emperor used the army to protect Rome and to control the people it had conquered. The Roman army was also a tool of cultural assimilation. Some soldiers were away from their families for long periods of time, loosening their clan loyalties and replacing them with loyalty to Rome. The Roman army was a means by which a barbarian could become a citizen, but the process was not fast. Only when a soldier had served in the army for 25 years he could become a citizen of Rome. 5000 Legionaries (Roman Citizens who were in the army) would form a Legion. The Legion would be split into centuries (80 men) controlled by a Centurion. The centuries would then be divided into smaller groups with different jobs to perform. Roman soldiers had to be physically vigorous. They were expected to march up to 20 miles per day in line, wearing all their armor and carrying their food and tents. 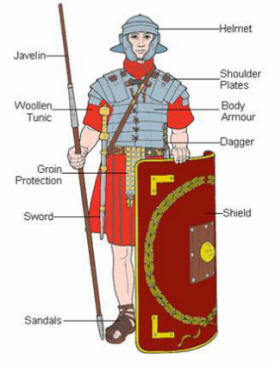 Roman soldiers were trained to fight well and to defend themselves. If the enemy shot arrows at them they would use their shields to surround their bodies and protect themselves. This formation was know as ‘the turtle’. They fought with short swords, daggers for stabbing and a long spear for throwing. They also carried a shield for protection as well as wearing armor. The tactics were simple but versatile enough to face different enemies in multiple terrains: From the forests of Germania to the rocky planes of the Greek peninsula. For these and many other reasons the Roman army was the reason for the Empire’s existence for several centuries. Roman entertainment is a byword for the decadence of the late empire, leading to its downfall when it spent more time on amusement than reforming the military or rooting out corruption. But few did mass entertainment better then the Romans. Their coliseums still inspire modern-day sporting arenas. Other forms of Roman entertainment could be found in the amphitheater, the hippodrome or the theatre. 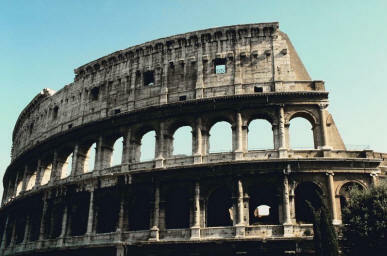 The Colosseum in Rome could seat up to 50,000 people and was the largest amphitheatre in the Empire. It was here that people gathered to see the fights between gladiators, slaves, prisoners and wild animals like lions. The Emperors encouraged people to go to see the fights as it stopped them from being bored and criticising their ruler. The fights were very violent and ended when the loser died. Sometimes, when the arena was flooded there would be fights with boats. The cells where the animals and prisoners were kept was underneath the floor of the main arena. The Colosseum even had a lift to bring them up to the arena. This was where the Romans went to see the chariot racing. The Circus Maximus was the largest hippodrome in Rome and could hold up to 250,000 people. Chariots were pulled by 2 – 4 horses, and were driven seven times around the ring at extremely fast speeds. Sometimes accidents happened and drivers were often trampled to death. There were four teams – red, white, blue and green – and fans of each team would wear their team’s colours. People went to one of the big theatres in Rome to watch plays. Because the audience would not stay quiet the actors had to wear costumes. The actors wore masks – brown for men, white for women, smiling or sad depending on the type of play. The costumes showed the audience who the person was – a purple gown for a rich man, a striped toga for a boy, a short cloak for a soldier, a red toga for a poor man, a short tunic for a slave etc. Women were not allowed act, so their parts were normally played by a man or young boys wearing a white mask. The actors spoke the lines, but a second actor mimed the gestures to fit the lines, such as feeling a pulse to show a sick person, making the shape of a lyre with fingers to show music. The plays were often violent and could result in the death of an actor by mistake. For more information on ancient Roman games and other counter-intuitive facts of ancient and medieval history, see Anthony Esolen’s The Politically Incorrect Guide to Western Civilization. The sort of leisure enjoyed by Roman children typically depended on one’s class. Children from poor Roman families engaged in near-constant labor, typically in agriculture, but they still found time to play, whether after the harvest or the fleeting moments of time between sundown and bedtime. Accounts by Roman writers and archeological evidence suggests they fashioned instruments at hand into many sorts of toys. Children from wealthy Roman families had significantly more time for leisure. As the household slaves performed most of the menial labor, and their parents feared that the appearance of their children laboring would lower their social standing among other patricians, they had ample opportunities to play. Some of the games were directly influenced by Roman social institutions. Children loved to engage in mock swordplay and mimic their favorite gladiator. Others reenacted the Punic Wars and pretended to be Scipio Africanus, dispatching Hannibal of Carthage. Other toys and objects of leisure were influenced by the inter-imperial trade of Rome. Cats came to Europe in approximately 100 AD, thanks to growing connections with Egypt and the Near East. The Romans were concerned about health and cleanliness. A network of pipes brought clean water into the city of Rome and removed waste. The public bath house was the place where people went to socialise and do business as well as getting clean. 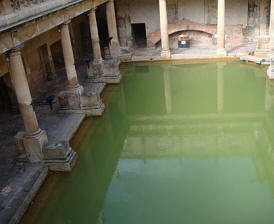 The picture, above, shows an artists impression of how a Roman bathhouse may have looked. Note the classical columns and arches, mosaic floor and ceiling. The large spacious entrance or meeting area is a place where visitors can walk and talk or sit on seats around two large fountains. The public baths can be seen in the background through the feature arches. The Romans were very superstitious. They believed that good or bad luck was given by the gods – if the gods were happy then you would have good luck but if they were unhappy then your luck would be bad. There were many different gods and each of them looked after different things. The Romans worshipped their gods in a temple. They made sacrifices of animals and precious items to their gods. They believed that when an Emperor died he became a god and so a sacrifice was also made to the Emperor. The Romans also worshipped Gods in their own homes. Christians worshipped one god and refused to recognise or make sacrifices to either the Roman gods or the Emperor. Many of them worshipped in secret. The Romans were very suspicious of the Christians and believed that they were dangerous to Rome. 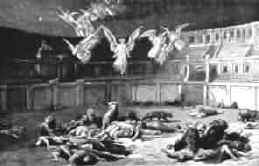 Christians who refused to sacrifice to the gods were put into the arena with lions. Although the Christians were persecuted by the Romans for 400 years, the religion continued to become more popular and by 500AD it was the official religion of Rome. The Romans education was based on the classical Greek tradition but infused with Roman politics, cosmology, and religious beliefs. The only children to receive a formal education were the children of the rich. The very rich families employed a private tutor to teach their children. Those that could not afford to do this used either slaves or sent their children to a private school. Children of poor families, those living in the country or those whose parents were slaves were not educated at all. A Roman school would be one room with one teacher. Teachers were very badly paid and worked long hours. Children learned to read and write. It was important to be able to read and write because words were everywhere. 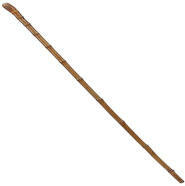 If a boy answered a question with the wrong answer, the teacher would beat him with a cane. If he spoke in class without permission he would be dragged to the front of the class and beaten with a cane or a whip. Boys and girls did not receive the same education. Boys would be given lessons in honourability and physical training which were considered preparation for a man’s role in society and the army. Although they learned how to do simple addition and subtraction more difficult mathematics was not taught because it was difficult to add up numbers written in the Roman system. Girls were only allowed to learn to read and write. The Roman system of numbers was made up of just seven letters. We still use Roman Numerals today, they are most often seen on clock or watch faces. The table below shows how the letters are combined to make numbers. * Shepard Gate Clock image by Joaquim Alves Gaspar. It is believed that the first gladiators were slaves who were made to fight to the death at the funeral of Junius Brutus Pera. The spectacle was arranged by the dead man’s relatives to honour his death. The tradition was copied at other funerals and then became staged events put on by rich locals for the benefit of their local population. Spectators to the games were charged a fee to watch an array of gladiatorial tournaments. The majority of gladiators were slaves who were taught how to fight in special schools. They were trained to fight with daggers, swords, forks and nets. They had to fight slaves and criminals who were either unarmed, or armed only with the net. The fight ended when one man died. If a man was wounded and unable to fight on, he make a sign for mercy. The crowd would then decide whether he should live or die by giving him thumbs up or thumbs down. Thumbs up signified that the crowd wanted the loser killed while thumbs down meant that he should be spared. The largest and most spectacular gladiator fights were those staged in Colosseum in Rome. The huge circular amphitheatre could seat up to 50,000 people. Spectators were given tickets showing their seat place and also which of the 80 entrances they should use. The gladiator fights took place on the huge central stage. Underneath the stage was a network of rooms and corridors used to store costumes and props used to stage the larger spectacles. Some rooms were also used by the gladiators as dressing rooms. Lifts were used to bring the gladiators up to the main arena. Ancient Roman housing was bereft of modern conveniences such as indoor plumbing, but they were surprisingly sophisticated as well. There were big differences between the housing of the rich and the poor in Roman times. 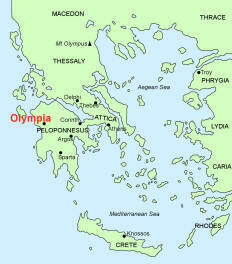 Poor Romans lived in insulae. An insulae consisted of six to eight three-storey apartment blocks, grouped around a central courtyard. The ground floors were used by shops and businesses while the upper floors were rented as living space. 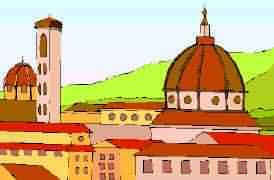 Insulae were made of wood and mud brick and often collapsed or caught fire. There was no heating or running water and often no toilet. The upper floors were the most unsafe and therefore the cheapest to rent. An entire family would often occupy just one or two rooms. Insulae were dirty, noisy and unhealthy places to live. Rich Romans lived in a single-storey dwelling called a domus. A domus was very grand – with marble pillars, statues, plaster or mosaic walls and mosaic floors. A domus was divided into two sections the antica, which was at the front and the postica, which was at the back. Both sections were designed in the same way with small rooms leading off a large central area. The front door of the domus was at the end of a small passageway called the vestibulum. A corridor called the fauces led from the front door to the central area of the antica which was called the atrium. There was an opening in the centre of the atrium ceiling, beneath which there was a shallow pool called an impluvium to catch rainwater. The bedroom (cubiculum), dining room (triclinium) and other general living rooms surrounded the atrium. The ala was an open room which had windows in the outside wall. There were two alae, found on each side of the atrium, and it is thought that their main function was to let light into the house. The main reception room of the house was located between the antica and postica and was called the tablinum. It was separated from the atrium by a curtain which was often drawn back when the weather was warm. A door or screen separated the tablinum from the postica. The main feature of the postica was the peristylium which could be reached by going through the tablinum or through an arched passageway called an andron. The peristylium did not have a roof and was the garden of the house. The Romans grew both herbs and flowers and when the weather was warm would often eat their meals here. The kitchen (cucina), bathroom and other bedrooms surrounded the peristylium. The exhedra was a large room used as a communal dining room or lounge during the summer months. Roman clothes were made of wool, spun into cloth by the women of the family. Later on the richer people had slaves to do this work for them. If you could afford to buy clothes, you could buy linen, cotton or silk, which was brought to Rome from other parts of the Empire. Washing clothes was difficult because the Romans did not have washing machines or soap powder. They used either a chemical called sulphur or urine. A purple toga with gold embroidery was worn by a victorious general and later by emperors. In later times it became more acceptable to wear togas of different colours with embroidery but this was frowned on by those who preferred to keep to the established order. The tunic was standard dress for all men from slaves to the nobles. It could be worn plain, belted at the waist or under a cloak. 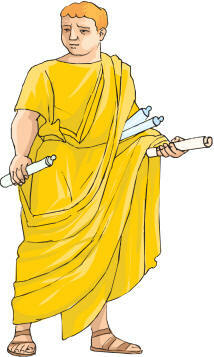 Citizens of Rome would wear a tunic under their toga. The simplest and cheapest tunics were made by sewing two pieces of wool together to make a tube with holes for the arms. For those that could afford it tunics could be made of linen or even silk. The tunic would be worn belted at the waist and just covering the knees. Both men and women wore a simple loincloth called a subligaculum under their clothes. Indoors, the Romans wore open-toed sandals. However, outdoors they preferred to wear shoes that covered their toes. 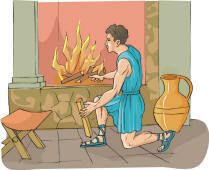 The Romans made shoes and sandals by fixing strips of leather to a tough leather or cork base. Sandals, to be worn indoors or in the summer, had a smaller number of leather strips. Shoes for walking, for winter or for soldiers had many more leather strips to cover the toes and provide more warmth. Men were only allowed to wear one piece of jewellery – a ring that was used to make a mark in wax for sealing documents. However, many ignored the rules and wore several rings and brooches to pin their cloaks. All men had their hair cut short and shaved. After the time of Hadrian some men began growing beards. Despite the opulence of the city of Rome, and the power of its imperial army, Roman food was quite plain by modern standards and served in small portions. As such, the Romans did not eat huge meals. Their main food was pottage. Pottage is a kind of thick stew made from wheat, millet or corn. Sometimes they would add cooked meat, offal or a sauce made out of wine. Food for the common people consisted of wheat or barley, olive oil, a little fish, wine, home grown vegetables, and if they were lucky enough to own a goat or cow or chickens, cheese and a few eggs. As the Republic grew and the Empire expanded the Romans came into contact with food from other ethnic grojuops. They used herbs and spices to flavor their food and began eating more fish, especially shell fish. Vegetables were plentiful and most of the Roman’s recipes included vegetables. They also ate a lot of fruit, especially grapes, and made wine. The Romans ate their food with their fingers. They used knives made from antlers, wood or bronze with an iron blade to cut their food. They also had spoons made from bronze, silver and bone which they used to eat eggs, shellfish and liquids. Breakfast – This would be eaten early, probably as soon as the sun rose and would include bread and fresh fruit. Lunch – Probably taken around noon. Lunch was only a small meal as it was thought a large meal would make one fall asleep in the afternoon. It would include some of the following – a little cooked meat – ham or salami, salad, cheese, hard-boiled eggs, vegetables and bread. Dinner – This would begin at about four in the afternoon and could continue into the night. The starter would be either a salad or dish of small fish. The main course of fish, cooked meat and vegetables would be served next. The dessert would consist of fresh fruit and cheese. Sometimes small cakes sweetened with honey would be served.